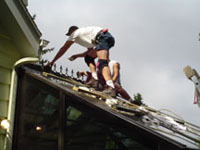 3-D Window Cleaning Company was established in 1959 by it's current owner, Joseph C. Kelly, Jr. and his partner, George Ball. Mr. Kelly became sole proprietor in 1964. 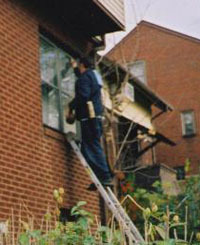 Thereafter, 3-D Window Cleaning Company was incorporated in 1993. 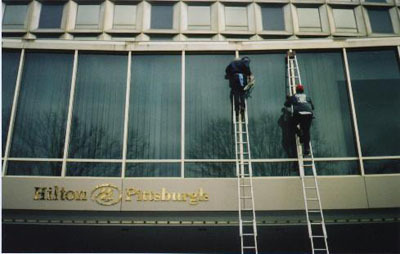 3-D Window Cleaning Company Inc. specializes in commercial and residential window cleaning in addition to general building cleaning and maintenance. Our goal is to provide the best possible service to each and every customer. This can only be accomplished through continued dedication to quality and safety. We believe that polite, safe, professional, and dependable service is the key to continued success and longevity in the marketplace today and in the future.